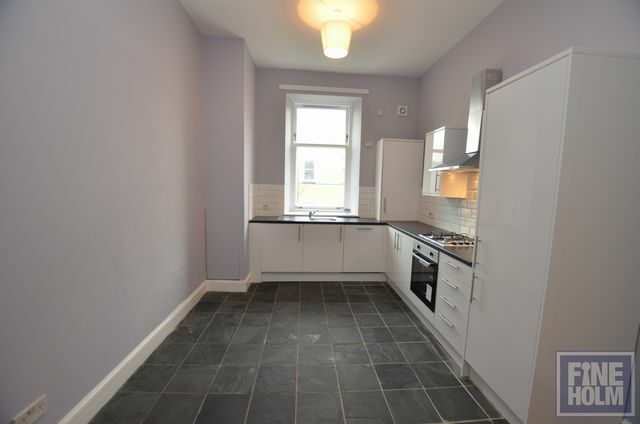 Immaculate 2 bedroom generous tenement flat in this convenient location at Woodlands. Perfectly positioned for taking advantage of everything Finneston, Charing Cross, City center and Westend have to offer! This second floor flat has generous hallway, bathroom with shower over bath, spacious living room with storage cupboard off, master bedroom to the front and to the rear, recently fitted dining sized kitchen with white gloss units and integrated appliances - dishwasher, washing machine, fridge freezer and oven /hob. Second bedroom to the rear. Gas Central heating throughout. Secure entry. The property is offered unfurnished but with appliances. New roller blinds throughout. Permit Parking can be applied for via glasgow city council..